Our facility is located in sunny Fontana, CA, near Los Angeles and Orange counties. The 22,000 square foot facility is designed for the optimum design, production, and subsequent installation of commercial cabinetry and casework. We embrace technology and utilize high levels of automation, including engineering networked directly to machinery, and barcode scanning of all pre-and post-production materials. All materials are produced primarily with Italian and European CNC machinery for their efficiency and precision. 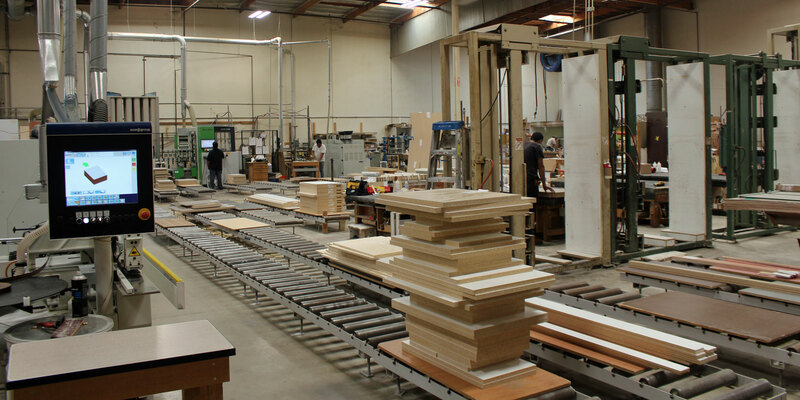 It is the combination of our team and cutting edge machinery that ensure you end up with stunning custom cabinets for the best possible price.